Join in this delightful self-nurturing day of yoga, contemplation, relaxation and just Being. Moving in the deep centre of your core. Soma, meaning the Whole Being we will work with calming the mind, relaxing the body, and being open to whatever shows up. We will take some time to journal what we are experiencing and what we are asking for. This is open to new and long time practitioners. No experience required. This is meant for you if you are willing to explore silence, feelings, and dreaming. You will be guided through some slow exploration movements and quiet time to embody your experience. Required is curiosity and approaching your practice with inquisition. Soma Yoga is the perfect opportunity to be curious about who you are. The journey to self-discovery begins now. Limited space - PRE-REGISTRATION required. Your e-transfer will confirm your space. We live in one of the most beautiful area in the world where winter magic is at it's best. The unique approach of outdoor experiences through the lens of mindful and meditative contemplation brings "Into Being" to an entirely new way of viewing nature at its best. Embark on a nature experience and discover the fascinating world of the late-winter forest. Snowshoe on the user friendly trails (snowshoes can be rented- please inquire) Walking is also an option. As usual all is optional. 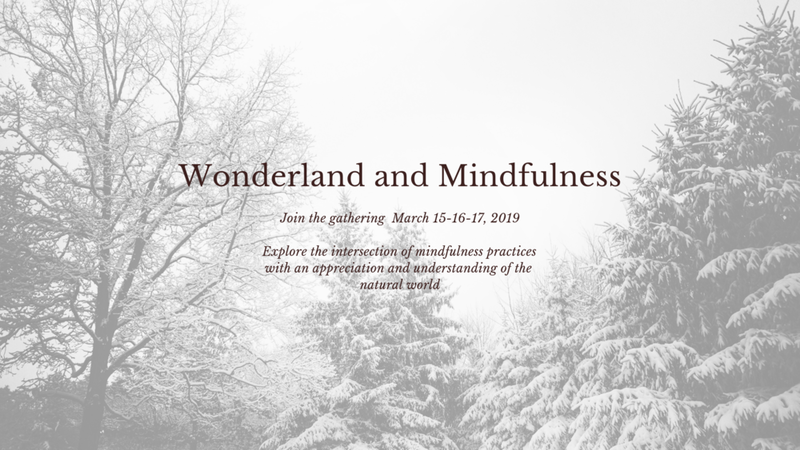 Come enjoy the peaceful calm of snow-covered trails as you develop both observation and mindfulness skills in the great outdoors. To reserve the space and for this event to take place it requires minimum 5 people to sign-up with 50% ($180. )non-refundable (transferable) no later than February 15. Commit and make this happen. BONUS: A special thank you gift will be offered the first 3 registrants. Meals and more: Healthy vegetarian meals will be prepared by Christina Hearns. If any intolerances and allergies please send us note as soon as you register. Any health issues it is important let us know immediately. I did a yoga retreat with Jo-Ann a couple of years ago and it was a wonderful experience. I recommend this to everyone who wants, needs a break to relax and energize. This is a three hour event that includes gentle somatic type of movement intertwined with restorative for deep integration. Included in the session contemplation, meditation and journaling on compassion and self-care. There will be time for conversation and dialogue and community in sharing tea and snacks. What to bring is your yoga mat, bolster and blocks and if you don’t have a bolster then a solid big cushion or two. A tight weaved blanket also really helpful. Water bottle is always a good thing. 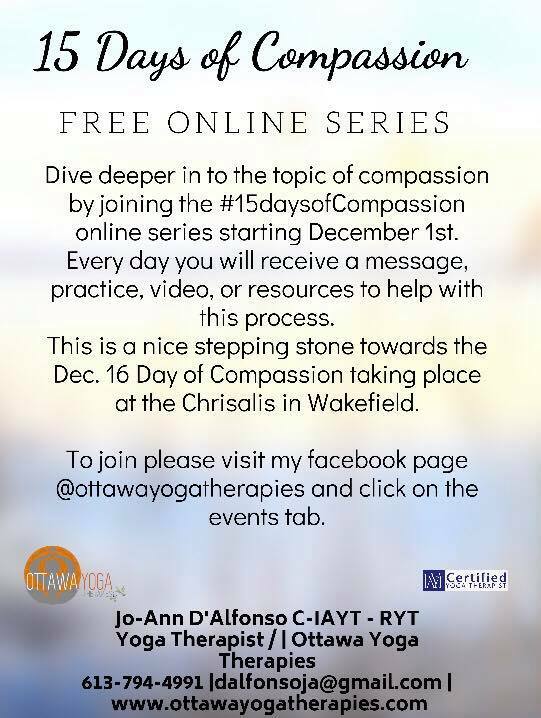 $45.00 for the day and if you join the 15 day of compassion series (see facebook event page) then it will be discounted at least $5.00. Early registration will up the discount. Limited space to 12. All tickets are final sale and no-refund but can be transferable. This is a first time experience for me and my intention is to bring the community together to have a better understanding of what compassion means to each one of us and how can or do we experience. By sharing you are supporting your community people and more compassion grows. I am keeping the series open as this is meant to reach out as much as possible everyone everywhere but if personal questions and concerns come up then you will be able to reach me personally. Out of these discussions sometime things show up or doors open up for us, it is important that we address any concerns that may show up. De-stress, relax and recharge with this two-hour re-calibrating practice. This class is meant for every body and no yoga necessary. This is the Vatta season; time for contemplation and time for the earth to replenish its soil, time for inquiry, respite and contemplation in preparation to create new strong roots. The intention is to support your healing through your body, mind and soul. The practice soothes and strengthens the resilience of your nervous and immune system. Slow moving postures self-awakening movements followed by resting postures restores and reconnects the body, mind and subconscious. The day will finish Yoga Nidra session to allow all to integrate deep into our sub-conscious. During this workshop participants will be guided to explore FUNdamental principles and guidelines that work to help us enhance our moods, offering a path to healing our anxiety and depression. Join special guest Jo-Ann D’Alfonso with the assistance of Billie Hillis as she teaches participants how to gain self-awareness and self-knowledge through understanding and experiencing Yoga as a therapeutic tool that can be used to help you find balance in your moods. You will learn mood assessment techniques from a yogic perspective and how to understand the different emotional types of moods. This will help you to look at what is blocking your way in the process of the REAL change you want to make in your life! Jo-Ann and Billie will provide a compassionate and safe space that allows you to establish a sense of ease and trust with the group. We will work together to find awareness, calm and compassion in the experience of anxiety & depression and we will begin allowing in true feelings of connection and wholeness. This workshop will show you a path to relief from the suffering of depression and anxiety, a path that will enhance your Whole-BEing. $175 + Tax /Person* - Registration for the workshop includes optional morning yoga session, vegetarian/vegan lunch & use of GWR property and amenities (including Sauna) until 8pm. * Make it an overnight experience with Jo-Ann, or a whole weekend all for a special price for participants of this workshop. 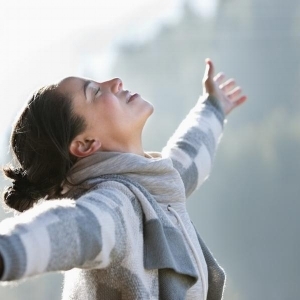 Is your life just “all right” or could you use a little Energy Booster and an Happiness lift? Does everyday feel humdrum? Explore new ways of addressing habitual patterns to create this needed shift to bring new life energy to your day-to-day. The intention for this FUNshop is for you , the individual, to regain Power and Ownership of your own mental Wellness by learning Easy steps and Rejoice in Happiness . What the teachings of Patanjali invoke, the sage who wrote the yoga sutras more than 1,700 years ago, is that it is all about the flow of Life-Energy through your physiology. Yoga Therapy* is an opportunity for self-inquiry, and to find what is suitable for each one of us, individually; to create a toolbox of practices, teachings, and creativity and know which is needed at different moment. At times we just get lost in all the "doing" and forget how to be at ease in your own self. Simple reminders and new ways of approaching things can make a whole difference. Create a radical shift and allow yourself to move with the flow rather than work hard and deplete your energy centre. It's about keeping things simple and FUN. That is true living with ease. Date: Saturday April 14, 2018 - 12:00 p.m.-2:00 p.m. Date: Tuesday April 17, 2018 - 7:00 p.m.-9:00 p.m.
Cette présentation est offerte en anglais, mais faisant maintes présentations bilingues je peux facilement traduire et expliquer en plus grand détails les informations. Tous sont bienvenus. Join me at The Mill Road Community Space on January 28, 2018. This workshop is an exploration of all possibilities to create a new year aligned with your true inspirations. Eliminating the obstacles we are left with an open and creative mind. "Let's play!" • A well supported opportunity to create a clear vision for the future by cultivating a positive perspective, holding trust, embracing a proactive approach and digging deep in commitment to yourSELF. • A fully supported opportunity to revisit your belief systems, to expand those beliefs that align with your vision and remove the ones that no longer support you. Setting an intention gives us desire to move forward. In that practice we come to realize it is not about getting it ‘right’ rather it is about living right. Achieving what we most desire in life is exhilarating, exciting, and empowering. A clear vision of where you are heading is key in the process. Your vision is the big picture and like a star in the sky it is always within your view. Fee: $45.0 tax incl. Limited space is available. Please pre-register and pre-pay. Please send an e-transfer. No refund but transferable. The Mill Community Space - 8 Ch. Mill. Chelsea, Que. Week 5 – To yield consciousness with meditation in motion. Having you been trying or thinking about practicing meditation and you just feel overwhelmed; or maybe you have been practicing and you are ready to try something different. Each week in this series, we will share a new theme and a new meditation practice. You will discover complimentary meditation practices that will fit your needs and your natural way of being. Through repetitive and silent practice you can establish core qualities and nurture your own process. We will study and come to understand the three elements needed to support a deeper meditation. Pre-registration required: minimum of 5 pre-registrants by Friday May 13 , 2016 required; register early, limited space. Do you struggle with mood changes, seasonal affected disorder, depression, anxiety or stress? There may be another way. In this 8-week course, Jo-Ann uses meditation, yoga off the mat, breathing techniques, and nutrition along with group discussions and team work to explore experiences and moods of the participants. This process of self-exploration and personal work moves participants in a positive direction toward self-awareness; balanced emotional, mental and physical well-being; and improved lifestyle changes. One Individual private 60-minute session. Spring is a time of new beginnings and new growth. Spring is a perfect time to cleanse and prepare for the blossoms of renewal. The concept of cleansing comes from the wisdom of Ayurveda, the sister science of yoga. During this workshop, you can look forward to learning tools for natural transition to reset body and mind, and prime your system with ease and simplicity for spring season. 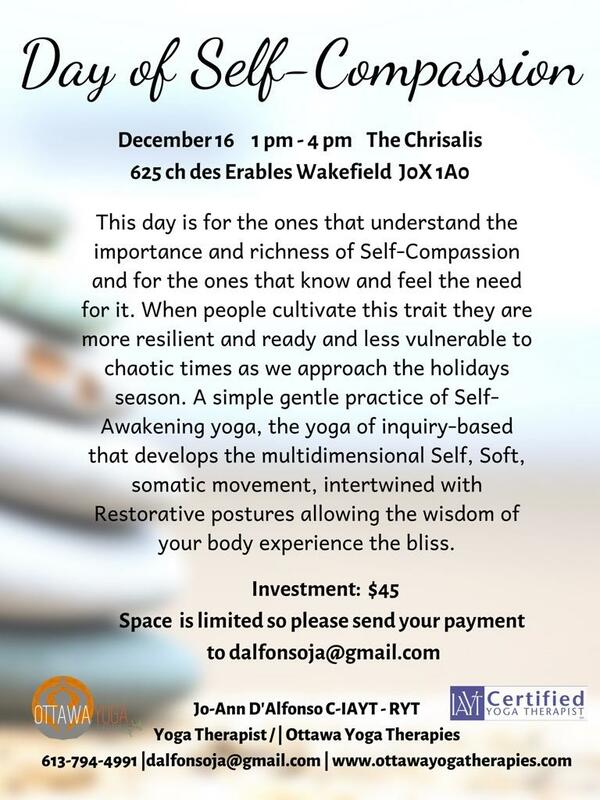 Facilitator: Jo-Ann D'Alfonso, bilingual and experienced Yoga Educator/Yoga Therapist. As an educator, therapist and mentor, her intention is to be of service to anyone who is on the path of bringing change to life experience and expanding happiness.